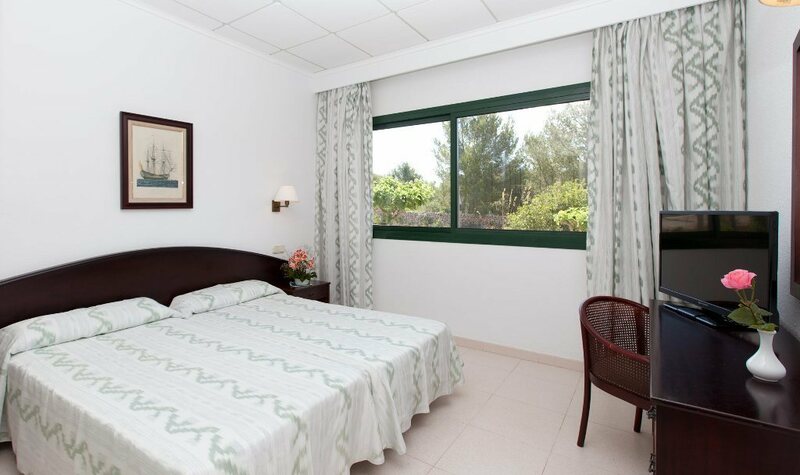 Large rooms and apartments in Son Bou, Minorca, fully equipped so you can enjoy the best stay. From 42€ per night - 312 rooms of 6 types. Room on ground floor with no balcony, located in the main building, fully equipped, has a private Bathroom. 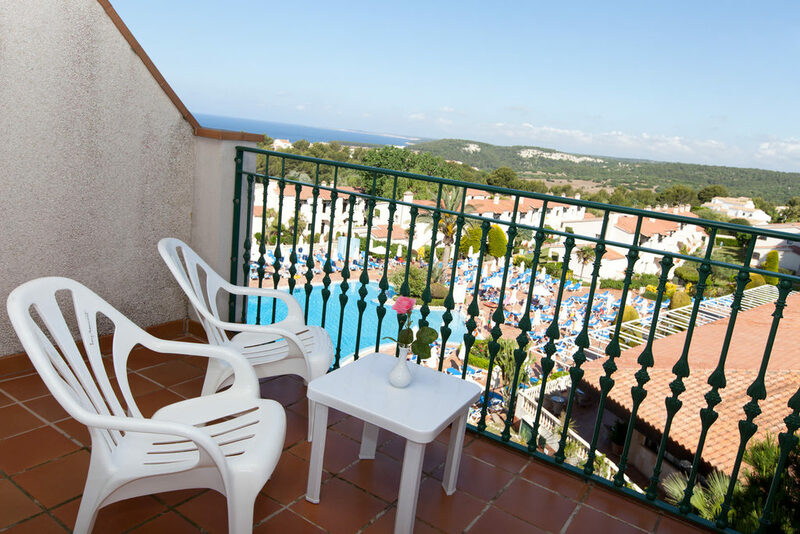 All double rooms have balconies and are located in the main building, where you can enjoy the tranquility of the area. One Bedroom Apartment with a separate living room area, Kitchenette fully equiped and private bathroom. 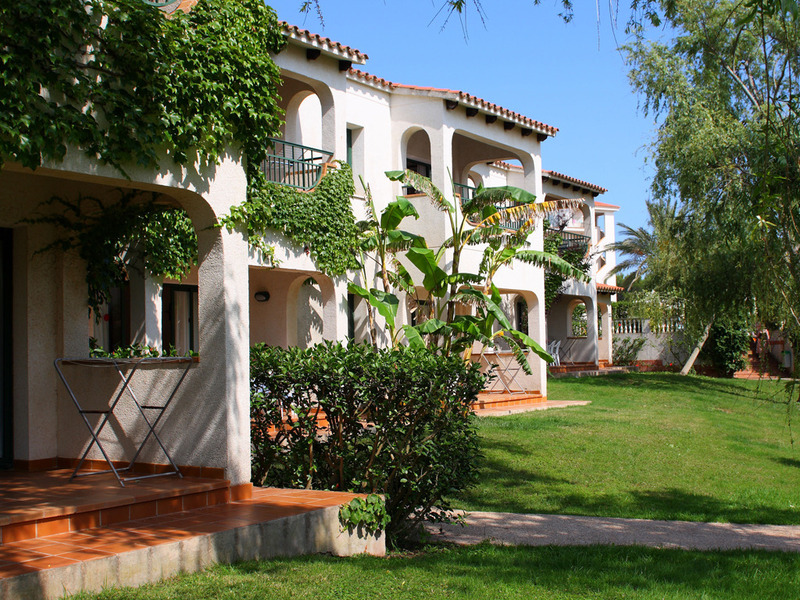 The apartments are located throughout the resort gardens. 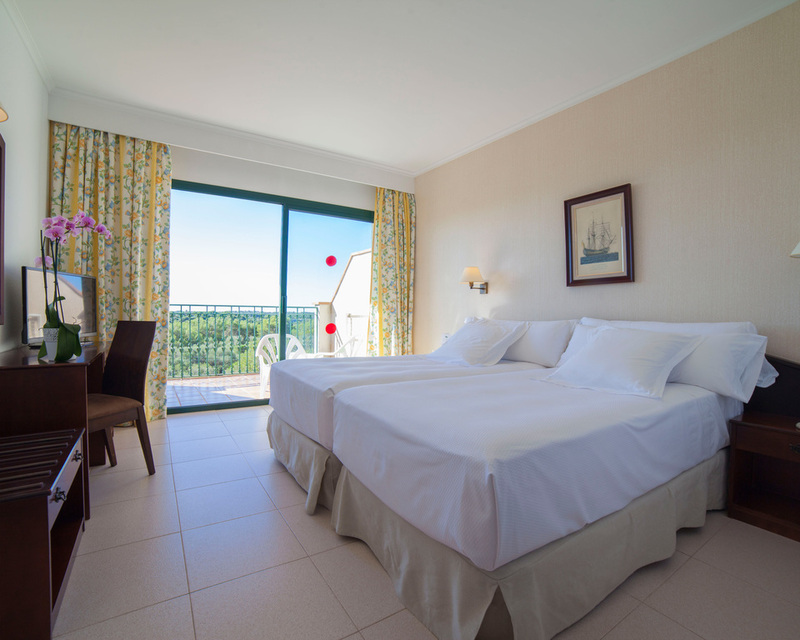 Located in the main building, this spacious and comfortable room has a balcony with panoramic sea and Son Bou beach views. All double rooms Single Use have balconies and are located in the main building, most rooms have sea view, where you can enjoy the tranquility of the area.